Guest blogs have been circling around me lately and I reached out to a few people to blog on my website. Then, more recently I had a conversation with another close friend and business partner about a close circle of resources; and I again mentioned guest blogs so thought it would be ideal to have a discussion about them.Who benefits from guest blog. 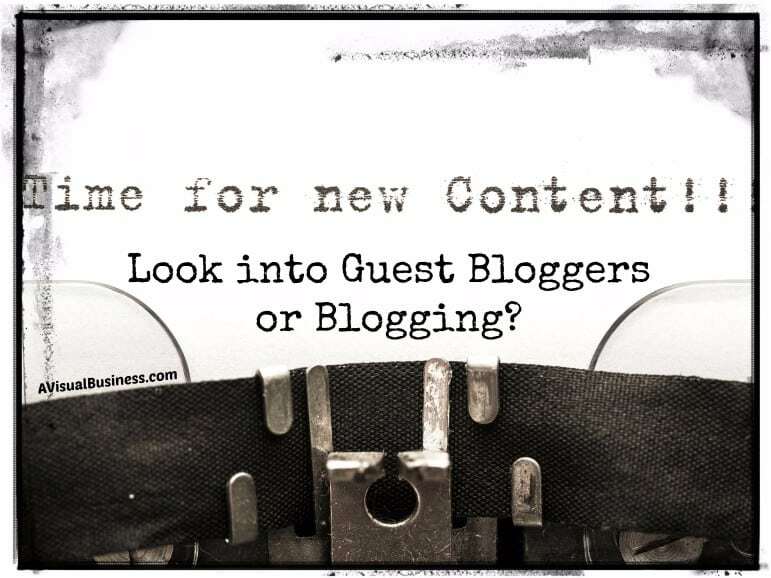 Who do YOU think benefits from the guest blog post – the guest writer or the blog website hosting the guest blog? If you answered both, you would be right. The guest blogger benefits from having their expertise hosted on another site. Likely the host website owner will share the blog which provides extra exposure for the guest blogger. Therefore, it is clear that the guest blogger will get more reach and likely from a different audience than just the guest blogger pushing out their own blog. The hosting website gets content that could benefit their target market that may not be their typical experience. This additional knowledge is pushed out to businesses and furthers the value by more content that is needed by the target market. Additionally, the guest blogger will push out the blog on the host website which extends the reach beyond the host website’s normal reach. Guest blogging benefits the blogger as well as the hosting website in reach and added value to consumer. 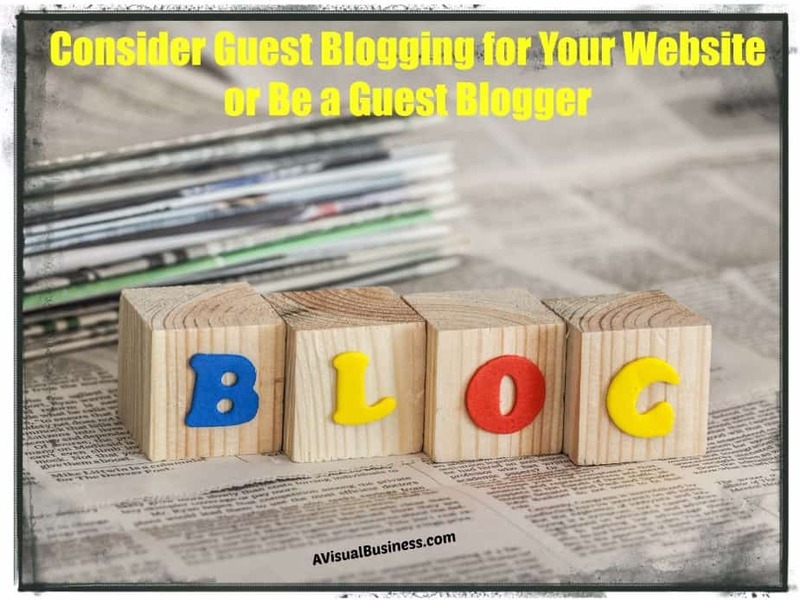 Hopefully you are seeing that having a guest blogger on your website as well as being a guest blogger on someone else’s website can benefit both parties for the reasons that both parties receive further reach and eyes on their content and/or website. consider each doing guest posts for each other so that you both can get the reciprocal benefits of valuable content to your target market of business owners. One other thing to mention, if you are sharing your blogs on social media on a regular basis because it is Evergreen Content, then you will continue the value, on a regular basis for both parties. If you have any questions about guest posts, are considering wanting to guest blog for me or would like me to guest blog on your website, contact me or leave a note in the comment below and we can be sure the content would benefit our target markets. I really appreciate this, Kristen. I’ve had a lot of folks asking me to guest blog of late, and I’ve been sorta stumped as to whether to do it. This makes perfect sense–thank you! Always great to share, being a guest blogger make sense. I agree, it benefits both parties. I also think it is important to really get the posts out there on social media. I didn’t do this early on and so wish I had. The last two years, I have been sharing a lot more and have seen a growth of interest. Thanks for sharing. Yes, great point Sabrina… we need to be sharing our evergreen blogs all the time. I’ve had the opportunity to guest post once, and I have to say it felt like an honor to be asked. But I think it may be difficult the first time around. I wasn’t sure if I was ready for it just yet. In my case it worked out very well for me, and I hope it has been the same for my host site. In addition to benefits for both the host and guest blogger, there are responsibilities for each party. I had a lot of good guidance from my host on what was needed and when. It was up to me to ask for clarification if I needed it, and to honor the requirements. So, now I’m “getting ready to be ready” to ask for guest posts on my blog. I think that my posting on Huffington Post and on Family Guiding, is considered guest blogging, as it isn’t my site. Lately, I have been approached by people, who I don’t know, asking if I would consider hosting a guest blog from one of their clients. I haven’t pursued this, as it seems that the posts are either affiliate link heavy, or are meant to feature products or services that I may, or may not, want to look like I condone. The latest one today looks more intriguing, so I will request more info and see if who they are and what they want to write about, is a fit for my blog. Thanks for sharing the pros of guesting and hosting guest blogs, Kristen! Appreciate the perspective. Yes Bev, you do a bit of guest blogging and having yourself on Huffington Post increases your readership which is great. You bring up a great point… having you guest blog on a site that is more about affiliate links wouldn’t be something I would do as that might create some negative publicity… as I get irritated with all the ads, personally. Many months ago I created a blog series on Aging Gracefully. As we decided to aim for 1 blog a month on the topic, my coach suggested I explore having guest bloggers. I’ve done that & it has been wonderful. What I didn’t do was select based on their having a hugh readership. I would love that.My selections have been relationships where I know their expertise. I always learn something topic wise too. I just asked someone in a group to be a guest blogger for July & request was accepted. It often feels like a partnership. It IS like a partnership Roz because you BOTH help promote it and it just extends the reach.. period. I love doing these and having people on the blog. I make it a point when I am the guest to really promote it to show that I’m putting in the work. I always offer to the image too if they want it. Anything to make it easier on the host. My goal last year was to be a guest once a month and I only missed two months so not too shabby! Gosh I hadn’t thought of asking people to do it before. I was asked by someone else to do guest blogs for 3 months which I did a few years ago and hadn’t thought of it since. I must revisit this definitely, I would love to have a few guest bloggers. Great post to get people thinking! This is a topic close at hand right now. Thank you for clearly pointing out benefits. I like the idea even more and will pursue. Great info as always. I am glad that you are seeing better value in guest blogging now Teresa. 🙂 Happy to help encourage you. thanks for this information. All of it made perfect sense. This is something I have not done so far (although I do have my PERSON OF INTEREST) column where i feature other people. this now goes on my MUST DO list. I totally don’t do this enough and wouldn’t know who to approach. If you fancy guest blogging and swapping posts, let me know. You blog enough Sonya but yes… I wouldn’t mind guest blogging with you.. just holla! Awesome information! Will definitely put this on my to-do list. Blogging is moving up my priority list, and this fits perfectly. Thanks. I hope blogging stays in the forefront for you Robin… but guest blogging with complimentary businesses could be great for you. Silly girl. You are welcome and looking forward to your blog Jackie! Haven’t done this yet but I appreciate the advice and tips. Sounds like a win, win for both host and guest. Thank you for sharing the wonderful breakdown of the kind of benefits that bloggers as well as site owners get when guest blogging is allowed 🙂 Just makes sense to utilize it not just for us as bloggers but for the site owners who will get MORE exposure too! Yes Joan, everyone is a winner here.. as long as the content benefits the hosting site’s customers. I like that you showed how both parties can benefit from guest blogging. I’ve written guest posts as well as had guests on my blog and it has helped both os us get exposure to other audiences resulting in more traffic and leads. Thanks for sharing and have a great weekend ! What do you think of the bloggers who are doing guest blogging solely to acquire links, especially with optimized anchor texts, with the goal of improving their SEO and the search rankings of their pages? Great question Rachel and I don’t really see that as a bad thing as long as they aren’t being spammy about it… like using the same anchor text and linking to the same page on their site or whatnot. Bloggers get paid to do reviews all the time so I see that sort of the similar. As long as someone writes well, represents themselves honestly and they are welcomed to do the guest blog by the hosting site (that isn’t a microsite or article site) I don’t see any issues. Guest blogging is great for SEO as you mention. Go for it! Here is a post on guest blogging I wrote that explains how to be a super guest blogger promoter, instead of another “me too” in the long list of guest bloggers that most companies ignore. I hope you like it. Thanks John… I hope you liked mine as well!